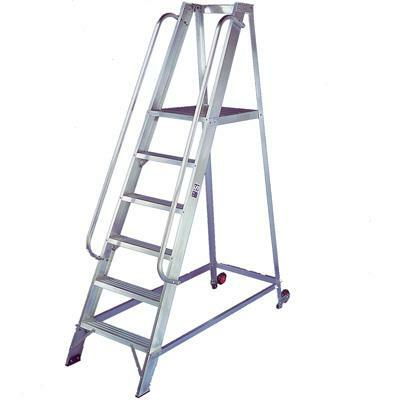 These slimline, 8-tread step ladders are ideal for use in warehouse environments and other materials handling and storage applications. With a handrail and large platform they provide safe and comfortable access at height. Made of high grade aluminium they combine strength, stability and amazing lightness. The steps are therefore easy to manoeuvre, even in confined spaces.